This class is suitable for students at all levels. It's an hour of invigorating and energetic practice to reconnect with ourselves. 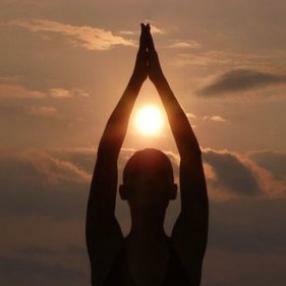 We will move through a flow of meditative movements synchronizing with our breaths. Throughout the practice, you will be encouraged to play and explore with different variations and modifications of poses that will enhance and build your strength, endurance, stability, and flexibility. This class is more vigorous than a Basics class. It is suitable for intermediate students and healthy beginning students seeking a more vigorous class. This class is suitable for beginners and those seeking a gentle yoga class. Whether you are new to yoga or a seasoned practitioner, Hatha Yoga class can help you develop a healthy and balanced practice to serve you well throughout your life. A great opportunity to de-stress and cultivate concentration, this class explores breath awareness and the fundamentals of alignment in yoga postures to create a safe and mindful experience of yoga. The heart of the class is an inspired sequence of postures that simultaneously develop strength, flexibility, balance, and coordination. 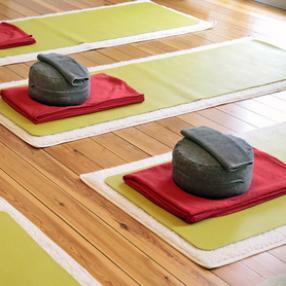 Each class ends with deep relaxation and meditation. Posture modifications are offered to suit all fitness levels. Perfect for beginning and experienced students alike, this class is highly inclusive and open to anyone. No previous yoga or meditation experience is necessary. For members only. First time visitors please contact the club to obtain a guest pass. This class includes pranayama techniques followed by visualization and silent meditation. This class is a FREE offering to the community.